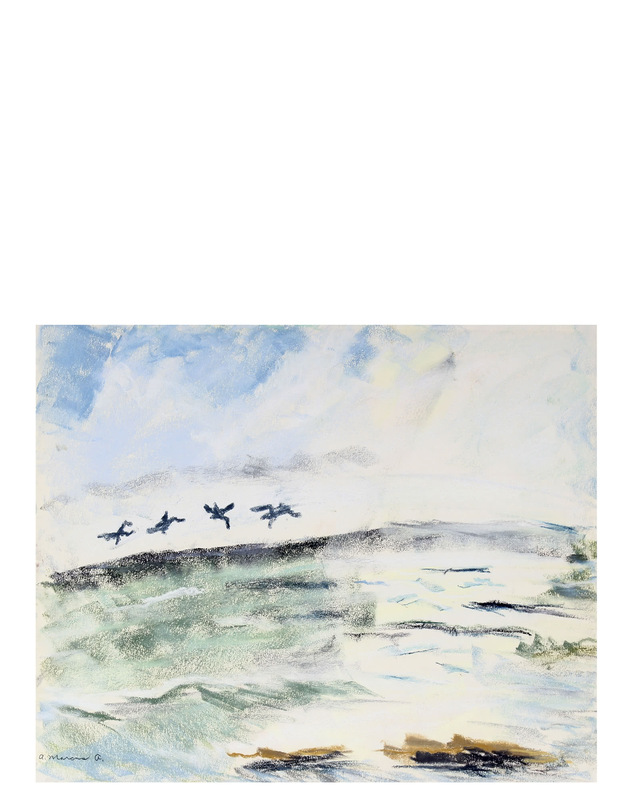 "Ocean with Birds" by Anne Garnick&quot;Ocean with Birds&quot; by Anne Garnick, alt="&quot;Ocean with Birds&quot; by Anne Garnick, "
Entitled "Ocean with Birds" this pastel on paper abstracted seascape is by New York artist and art collector Anne Granick (1911-2006). Granick was a self-taught artist and a dancer for the Martha Graham Company in New York. She and her husband, Arthur, collected and befriended many noted artists including Mark Rothko and Milton Avery. Signed lower left. This piece will be shipped in a mat to fit a standard sized frame. Hand-picked by Serena &Lily from Lost Art Salon's Collection, a renowned San Francisco-based resource for original 20th century works of modernist, vintage, antique, and contemporary art. 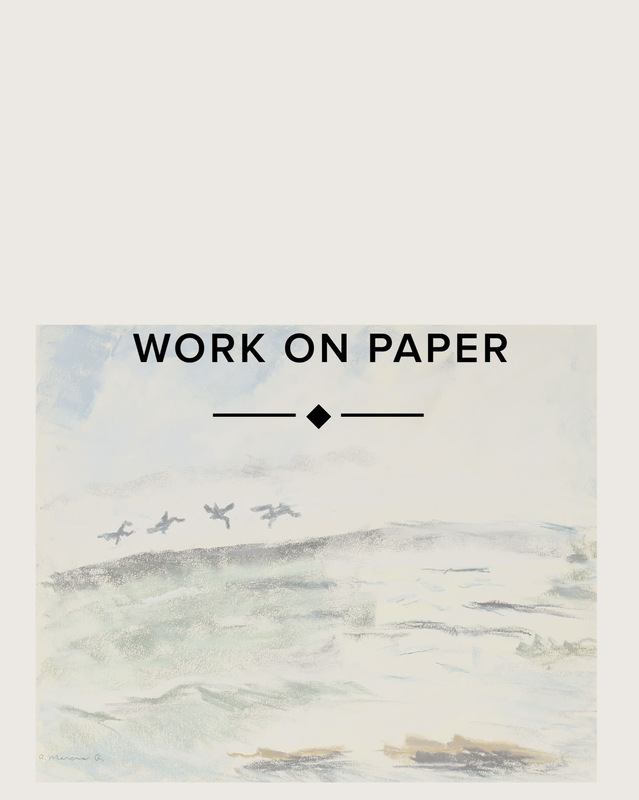 We like to think of the Lost Art Salon pieces chosen for our Serena &Lily Art Collection as being “twice curated”. Overall Dimensions: 14" x 16.75"